The partnership is a synergy of collaboration of eight prominent and competent organizations from five EU Member States: Cyprus, Greece, Italy, France and Denmark. The leading partner of the project is the Cyprus Labour Institute (INEK-PEO); the other partners are: (1) Action for Equality, Support, Antiracism (KISA), Cyprus, (2) Institute of Labour of the General Confederation of Greek Workers (INE/GSEE), Greece, (3) Small Enterprise’s Institute of the Hellenic Confederation of Professional Craftsmen and Merchants AE (IME/GSEVEE), Greece, (4) Università Degli Studi di Milano (UMIL), Italy, (5) Enaip Veneto Impresa Sociale (ENAIP Veneto I.S. ), Italy, (6) Iriv Conseil, France and (7) Videnscenter for Integration, Denmark. Cyprus Labour Institute (INEK)-PEO is a trade union initiative of the Pancyprian Federation of Labour (PEO) established in 2002. Although under the umbrella of PEO, INEK is an independent and autonomous research centre operating on a professional and scientific basis; it has its own legal standing and was founded in accordance with Law 57/1972 ‘The Guilds and Institutes Law’, as a non profit-making organisation. INEK’s core business is both research and training activities mainly in the fields of labour relations and working conditions. KISA was founded in 1998 and is the leading national organisation providing essential services to migrants who are disadvantaged and are at risk of poverty and social exclusion. KISA’s activities are focused in the fields of Migration, Asylum, Racism, Discrimination and Trafficking, and they include campaigning and awareness raising as well as lobbying and advocacy in order to influence the legal and structural framework, the policies and practices in these fields and reform of the immigration and asylum framework in Cyprus. The Labour Institute of GSEE (INE/GSEE) was founded in 1990 as the scientific and research organization of the trade unions in Greece, in order for GSEE to make substantiated interventions at social and economic level, in employment, in production and social security. Specifically, the goal of the Human Resource Development Sector of INE is to develop and communicate know-how concerning the educational system, the development of occupational profiles, the continuing vocational training system and lifelong learning, socially vulnerable groups, trade union training, and adult education and training (educational theories, educational methods/techniques, development of educational material, etc. ), within the framework of Community Initiatives and Programmes (EQUAL, YOUTHSTART, NOW, ADAPT, Leonardo da Vinci, Grundtvig, ERASMUS + etc). The Small Enterprises’ Institute of the Hellenic Confederation of Professionals, Craftsmen and Merchants (IME GSEVEE) operates, on behalf of GSEVEE as a consultancy body and an observatory for policies, on economic and social affairs and issues of interest for small enterprises (e.g. growth, taxation and competition, employment and social security, education, training and lifelong learning, vocational qualifications), following and assessing the results and outcomes of the initiatives and programmes carried out. It is a non-profit organisation, established in 2006 and presently based in Athens, operating five branches in Thessaloniki, Larissa, Patra, Ioannina, and Iraklion (Crete). 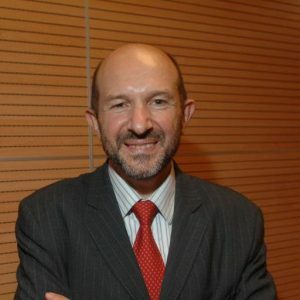 Maurizio Ambrosini is Professor of Sociology of Migration at the University of Milan, Department of Social and Political Sciences, and chargé d’enseignement at the University of Nice-Sophia Antipolis (France). He is also the editor of the Journal “Mondi Migranti”, first Italian journal in this field, and the Scientific Responsible of the Centre Medì – Migrations in the Mediterranean, of Genoa and of the Italian Summer School of Sociology of Migrations. His main interests cover immigrants’ labour market, irregular migrations, migration policies, refugees studies. He is the author of more than 200 books, articles and essays in these fields, published in English, French, Spanish, Portuguese and Chinese. His handbook, Sociologia delle migrazioni, is adopted as the textbook in many Italian universities. In English, he published Irregular Immigration and Invisible Welfare (Palgrave 2013) and edited Europe: no migrants land? (Ispi-Epoké, 2016). 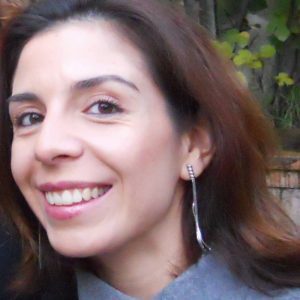 Claudia Zilli is a Postdoc Researcher under the guidance of Professor Maurizio Ambrosini at the University of Milan, Department of Social and Political Sciences. She obtained the Degree of Doctor of Philosophy (PhD) in Sociology from the same institution after discussing a thesis on ethnic intermarriage, world families, and the negotiation of cultural differences. In 2008 she successfully concluded a two years Research Master (MSc) from the University of Utrecht in the Netherlands, specializing in applied social research methods on topics of Migration, Ethnic Relations and Multiculturalism (M.E.R.M); and in 2003 she obtained a Bachelor degree of International Relations from the University of the Americas-Puebla in Mexico. 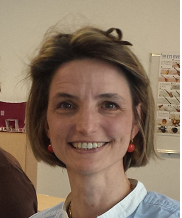 She actively collaborates with the Erasmus Student and Alumni Association (ESAA-EU), funded by the European Commission, in the promotion of the Erasmus+ Programme. Her research interests include: Multidimensional processes of integration; prompting factors and social relevance of new types of multiethnic/transnational families and parenting/caring practices beyond borders; and the development of diversity management strategies and practices in the workplace. ENAIP Veneto is an Italian Vocational and Education Training provider which has been running for more than 60 years and is now one of the leading organizations in the field of IVET and CVET provision both at regional and national level (4.500 students and 1.550 adults per year). In its 20 centres, covering all the provinces of the Veneto Region, it also offers many other different educational activities and services for the professional development of people. Enaip Veneto has been working in many national and European projects in the last few years, focusing on different topics, among which that of migrants. Enaip Veneto is also a member of Enaip Net, an Italian consortium delivering vocational, training and placement services covering all the regions of Northern Italy. Chief International Business Development Officer at Enaip Veneto. Expert in lifelong learning and vocational guidance. She deals with projects concerning Job and Employment Services for adults. She has experience in research and validation of skills, social inclusion, assessment and employability analysis of the labor market. Degree in Educational Science with a master in career development and career support. She has been working in the management of EU projects. Project Developer and Project Manager at ENAIP Veneto I.S. 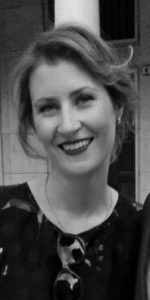 With a Degree in Communication and Computer Science, a Master Of Arts in European Economics, Politics and Law at the College of Europe, she has been working on European funding programmes since 2012, first in the evaluation side of the process, then on the design and coordination/management side. She has been working on educational and training projects for young and adult people and enterprises (especially SMEs) since 2013. The Institute of Research and Information on Volunteering Conseil (iriv conseil, www.iriv.net ) is a free private institution, nonprofit, independent of public administrations and economic interests, with the aim to improve knowledge and practice within the nonprofit sector. Focused on volunteering between 1997 and 2003, it has enriched its field of research since 2003 to migration. 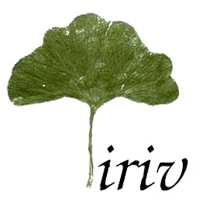 It has created iriv Conseil in 2000 in order to carry on the studies and trainings both an a national and a European level. Bénédicte is a doctor in Economics (University of Paris Pantheon Sorbonne, 1996). She is the founding president of the Institute for research and information on Volunteering (iriv- www.iriv.net , 1997-2017) and director of Iriv Conseil created in 2000 among IRIV to conduct its Research and Development (more than 50 projects since 1997), its Training programs and its Publications. She is the editor of iriv’s electronic review published twice a year since 2004- www.benevolat.net and iriv’s websites- 5 implemented so far including a portal www.iriv-publications.net gathering all publications and intellectual outputs designed in the framework of national & European projects since 1997. Since 2012, she has conducted two actions on the ground- a club at the Cité des Métiers once a month for migrants & professionals working with them to enhance a transition to the labour market and a monthly action among youngsters to initiate them to a voluntary action together with a secondary school – presented on www.club-iriv.net. Her research interests include: Volunteering as an example of non-formal and informal learning – a pioneer project VAEB (iriv & alii, 2003-2006, 7 EU countries) awarded in 2006 designed a portfolio to assess voluntary competences and Migration as a means to acquire specific skills and competences- a pioneer project Migrapass (iriv & Autremonde and alii, 2010-2012, 5 EU countries) designed a portfolio to assess migratory competences. VIFIN (Resource Center for Integration) was established in 2002 by Vejle Municipality to collect, adapt, develop and disseminate best practices on migrant integration. A multi-sector Board, composed of representatives from the Municipality, labour union, employers’ confederation, Integration Council, and Region South Denmark oversees and sets its overall direction. 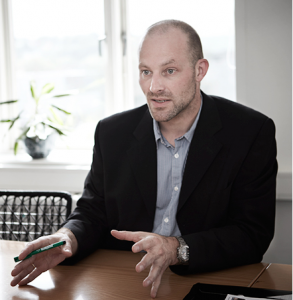 Thomas K. Hansen, is currently CEO of the social entrepeneur company DS Aps, specializing in software development for language rehabilitation and langauge & culture learning. He is a former phd student from the University of Southern Denmark (USD) in the area of Speech Technology and language learning, and has a master’s degree in Phonetics & Linguistics from University College London and USD. He is a former researcher in the area of language acquisition and a former professional dive instructor. His main interests lie in combining play, gamification and speech technology in learning environments.